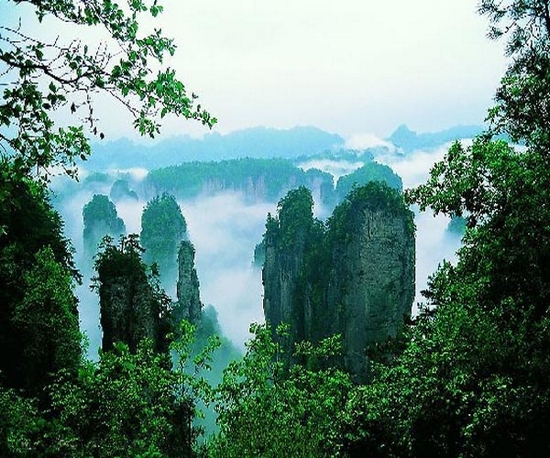 Zhangjiajie is a newly developed international tourist city, which lies on the border of Hunan Province. It is rich in water resources despite of being not a coastal city. 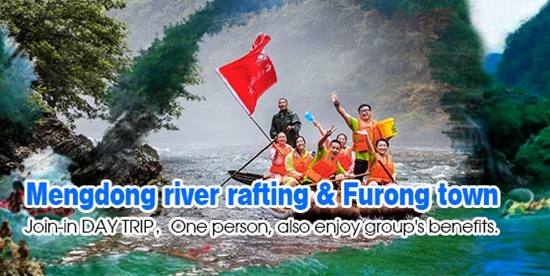 The region covers an area of 91,563 square kilometers and has a large population of 1.68 million, 60% of whom belong to the Tujia, Bai and Miao minorities. 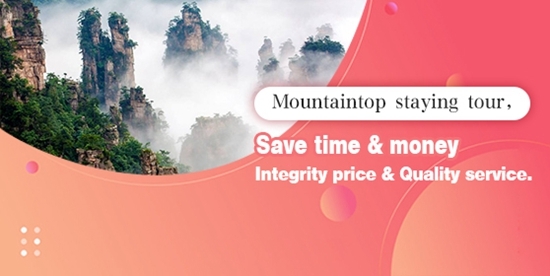 Zhangjiajie city is situated on the semitropical monsoon humid climate zone with a modest climate, plentiful sunshine, flush rainfalls, fertile land and rich tourist resources. 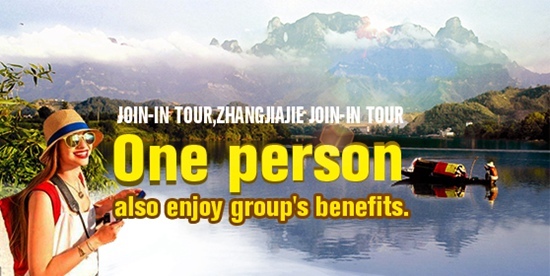 Zhangjiajie is famous worldwide for its pristine national scenery and the government's potent policy on tourist infrastructure construction in recent year has boosted the region's tourist industry and made it one of the new-rising popular tourist destinations in China. 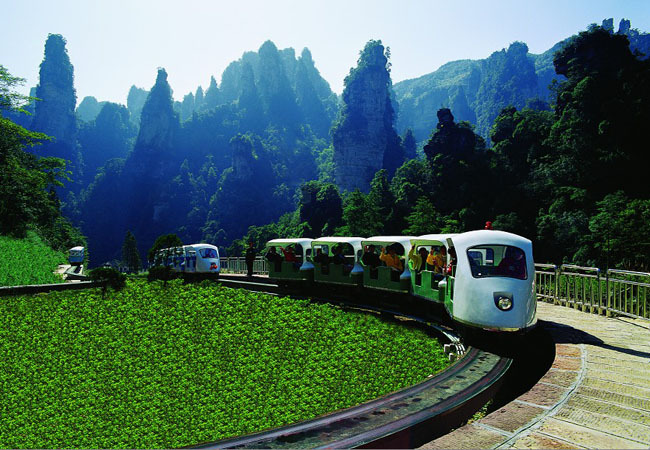 Zhangjiajie's main tourist draw is the Wulingyuan Scenic Area, which was added to the UNESCO World Heritage list for its lush vegetation, unique sandstone pillars, pristine waters and a wide variety of species of flora and fauna. 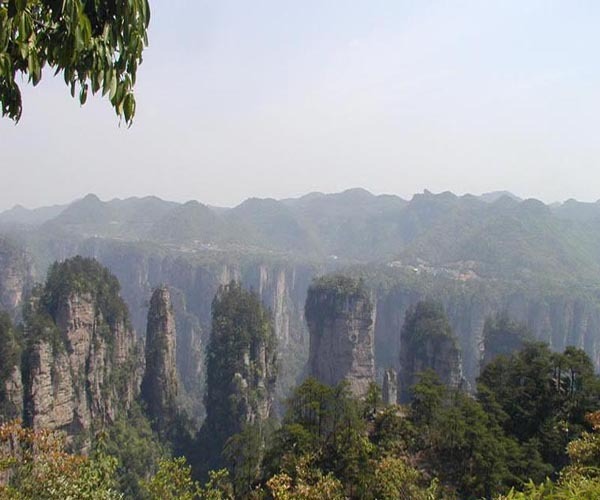 It contains three major sights including the Zhangjiajie Forest Park, Suoxi Vale, and Tianzi Mountain with total coverage is 396 square kilometers. 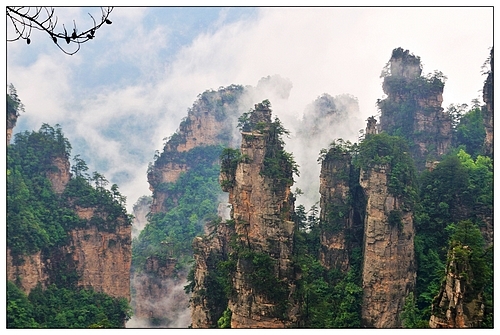 Zhangjiajie city is an energetic tourist city. Nine Percent of the city, about 500 square kilometers, has been zoned as provincial national scenic spot, and natural protection zone. Featuring scenic spots and historical sites such as Puguang Temple, Yuhuang Dong Rock Cave, together with the former residence of renowned Helong and Duxin's. The area has become an attractive cultural tour destination. The local minority flavor and folk Wushu are popular both home and abroad. 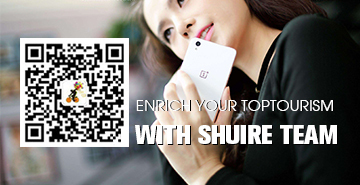 Nationalities：Tujia, Bai, Miao, Han and so on.